Evan Parker’s Psi label was once a flourishing concern, releasing up to ten albums a year in its peak years between 2004 and 2011, but activity has tailed off recently. After releasing five albums in 2012, neither 2013 nor 2014 brought anything, leading to fears that no more would be heard from Psi. 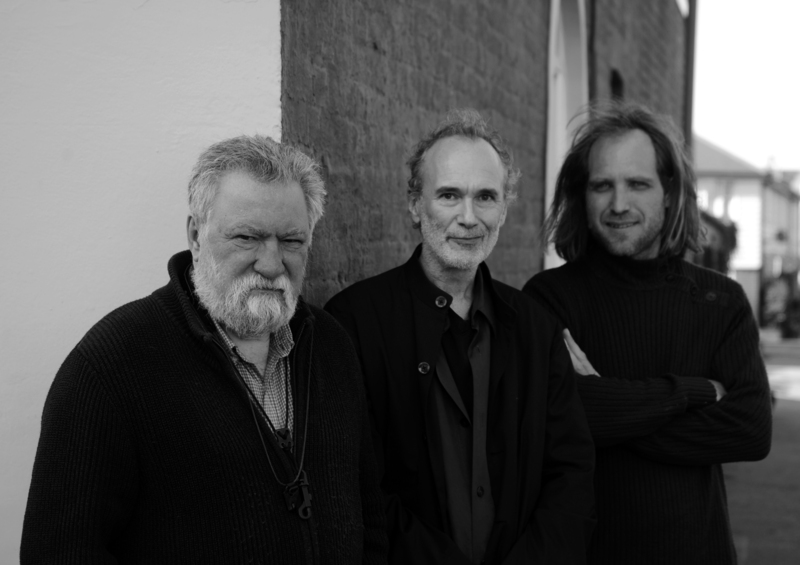 Thankfully, since then it has revived, with 2015 and 2016 producing one album each, the welcome reissue of Parker’s 1978 solo classic Monoceros followed by this new trio release. All of which means any new arrival from the label should be considered a rarity to be savoured and cherished. That applies especially to this album captured at Parker’s favourite recording location, St. Peter’s Church, Whitstable, in September 2012, by Adam Skeating. 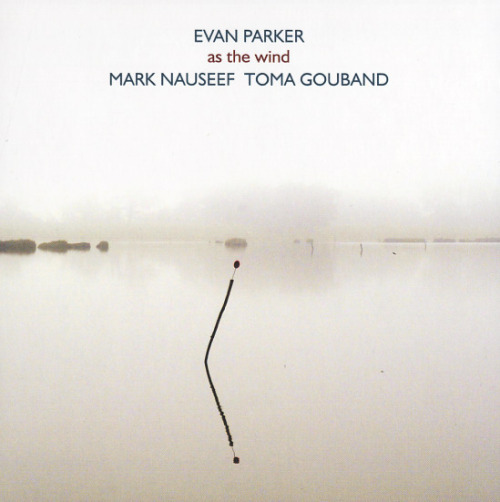 After percussionist Mark Nauseef and lithophonist Toma Gouband had played together in a sextet organised by Parker for a Paris concert, Nauseef proposed that the three record together in St. Peter’s, which he was familiar with from a past recording with Parker. As Nauseef suggested the session, protocol indicates that the album should have been released in his name. But Parker says of it, “I felt so strongly that this is one of the best records I have ever made that I asked Mark if it could be issued under my name—he graciously agreed.” In fact, it is credited to all three jointly, with Parker listed first. The music supports Parker’s judgment that it is one of his best. Across nine tracks—ranging in length from a couple that last about eighty seconds each to the title track at thirteen-and-a-half minutes, a total of some sixty-one minutes—the three improvised collectively with nothing pre-arranged; all the music they made on the day is presented in the order it was played. Parker played soprano saxophone throughout, with the two percussionists integrating spacious, relaxed support and coloration. The scraped stones of Gouband’s lithophone and Nauseef’s more metallic percussion complement one another well, combining to create an uncluttered, atmospheric environment in which Parker sounds natural, unhurried and at ease. While the saxophone contains enough tell-tale clues to unquestionably identify it as Parker, there are many passages that could baffle a blindfolded testee. Often it is restrained and spacious enough to hark back to Parker’s work with Trance Map (which also involved Gouband occasionally, as seen in the clip below), its haunting qualities ensuring it merits the title “ghost trance music”! Lacking the pyrotechnics of some of his recordings, such as his solo circular-breathing marathons, As the Wind is a slow-burner that ends up being just as impressive in different ways. In time, as well as one of Parker’s best it seems likely to be judged one of 2016’s best releases.